Ripple cream, cocoa and hazelnuts. Vegan ok certified. 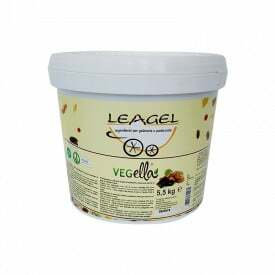 The Variegated Vegella by Leagel is a vegan cocoa and hazelnut cream. Used in combination of the vegan ice-cream line you can quickly and easily prepare ice creams and semifreddi vegans, cream and fruit. With vegan gelato It is possible to propose up to a whole showcase of vegan ice cream choosing from the wide range of Leagel certified products "Veganok", the ethical certification of the vegan world.